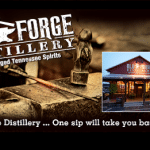 Just a few yards away from where the Head Miller grinds, fills, and ties bags of stone-ground, quality grains lies the Old Forge Distillery in Pigeon Forge. 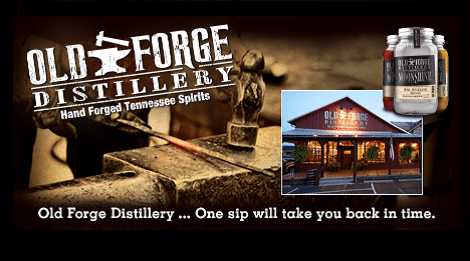 It’s here, in a 100-year-old building made of Tennessee timber, that freshly ground grain is distilled in small batch copper column stills. 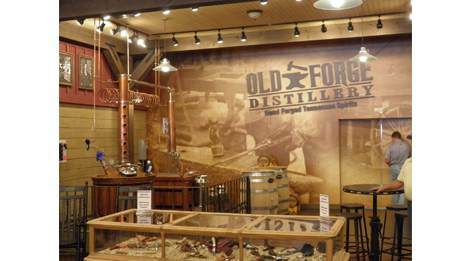 A tasting bar and gift shop are open to visitors. 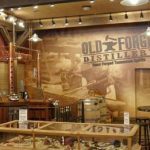 Old Forge Distillery is located beside the historic Old Mill at Traffic Light #7.